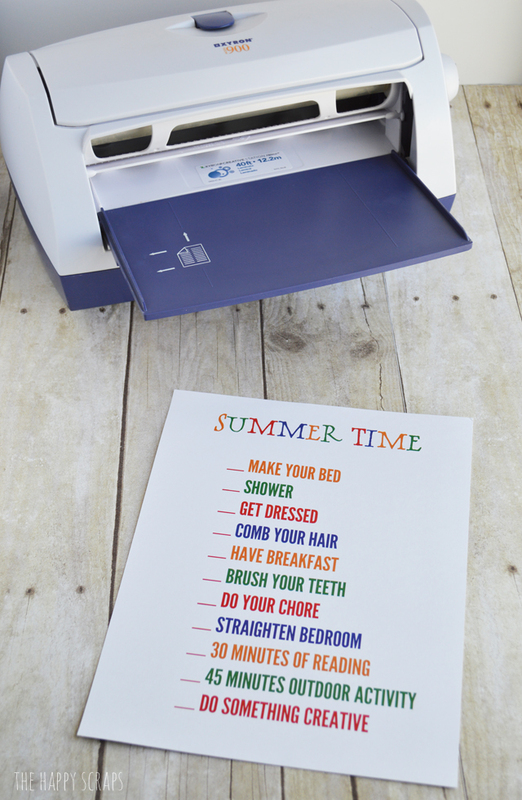 Around our home, we’ve had several summers go by where we pretty much live in our pajamas. We’ve have no kind of schedule whatsoever. Eat breakfast whenever we’re hungry for it, get dressed sometimes, and go to bed way later than we should. 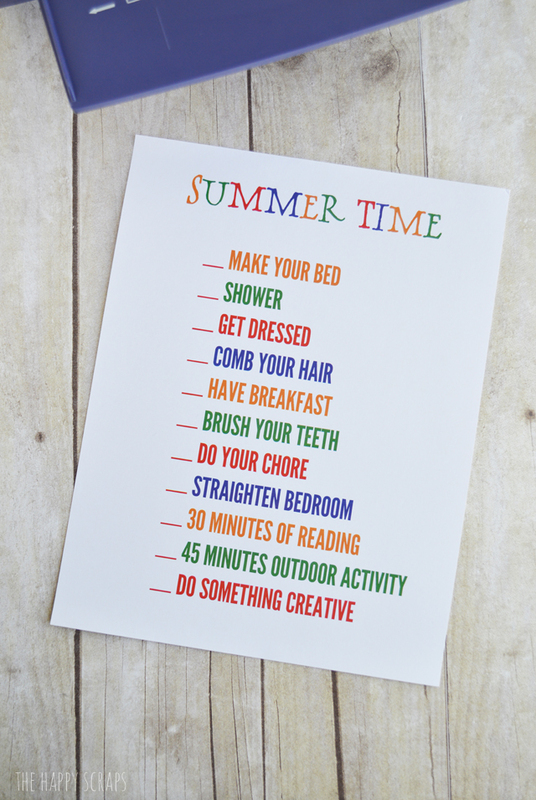 I mean really, isn’t that what summer is all about? I used to think so. 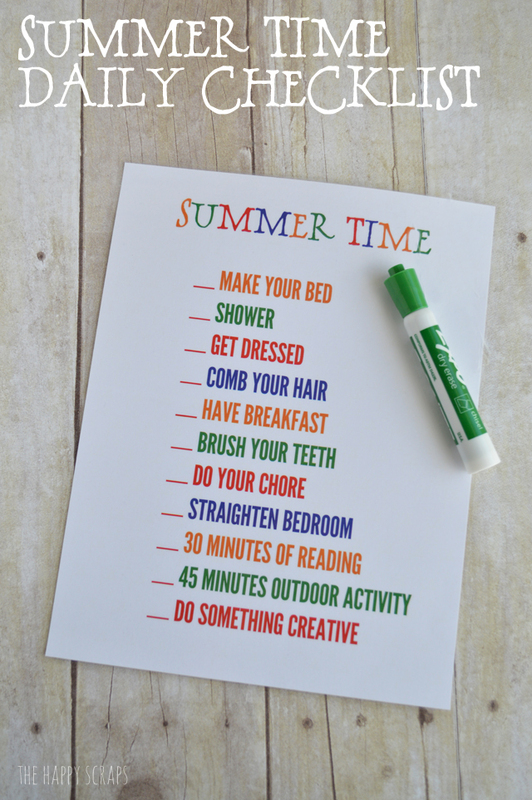 But I soon realized that my kids, who are all used to having a schedule at school, NEEDED a summer schedule of some sort. 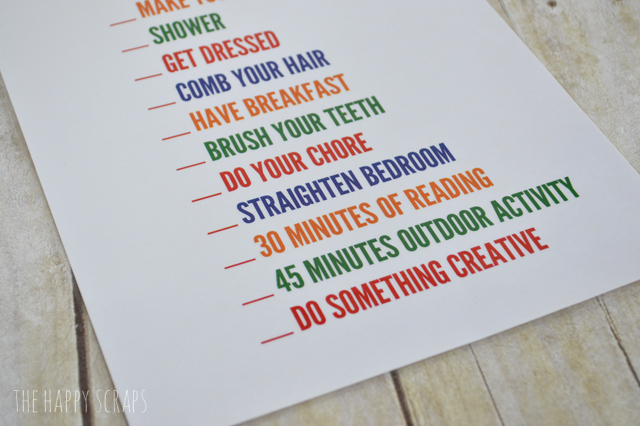 Last year, I found and used this printable from 30 Handmade Days for my kids summer schedule, and honestly, it worked like a charm. 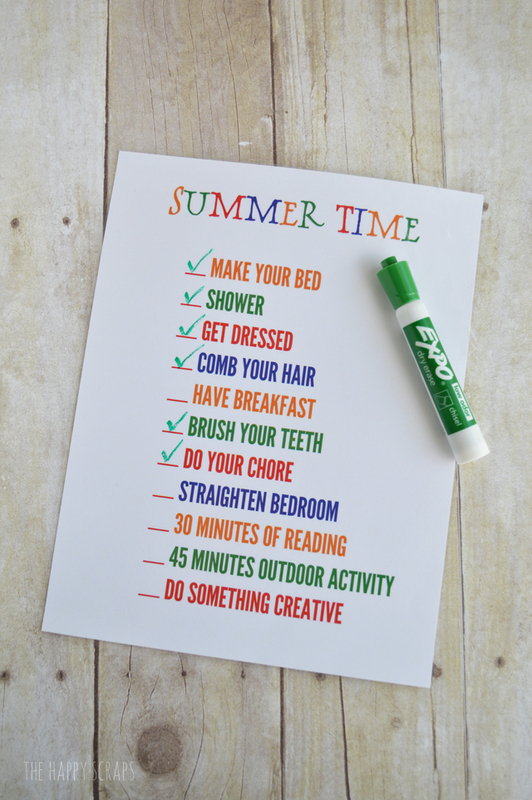 However, there were a few things that we made our own line for, so this year, I decided that I’d throw together my own Summer Time Daily Checklist Printable for my kids, and I thought I’d share it with you just in case you’d like to use it too. Place your paper into the Xyron, and then crank the handle. 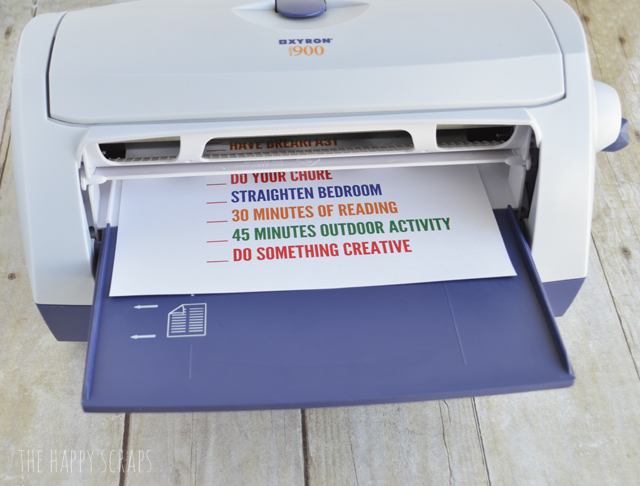 Once you have it laminated, trim the edges of it with scissors. 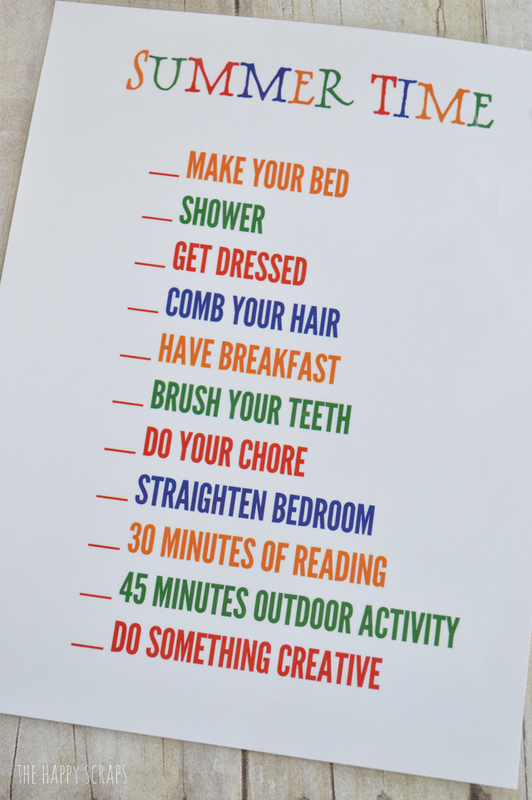 The only thing left to do is call your kids in, and explain it, give them a marker, and help them get to work! Do you have kids that would be able to use this? My kids seem to really like it! Oh, and if you are interested in finding a job chart (that has worked for 3 years now) and a daily summer schedule, check out my post here.